Many businesses use the same promotional products to attract customers. These promotional products flood the market and make it harder for a business to develop brand recognition. Promotional products, such as pens, cups, and t-shirts, are commonly used by the business to bring in customers but after a while these products can lose their appeal. 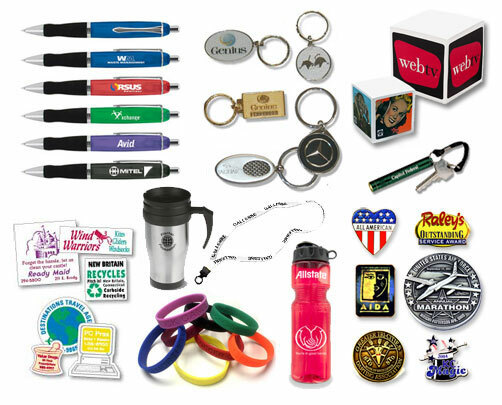 Promotional products are used to thank customers for their business or to make them aware of specific company but in order to ensure the products is used or remembered it needs to be unique. Here are some unique promotional products. Computer finger dusters are a promotional product that is both useful and unique. Everyone has a computer that gathers dust. These colorful little finger dusters, offered by Adco Marketing Company, can be used on the computer screen, keyboards, smartphones, and tablets. This product is rarely seen on the market and would draw interest for consumers especially if the business is associated with computers or other new technologies. Mason Jars are fun and interesting promotional products that can be used over and over again by the consumer. The Mason jar can be imprinted with the logo of the company and be used to give away just about any type of product. This promotional product is a blast from the past and a creative way to draw in customers. The magic eight ball is a fun toy from the past but it can also be used as an effective promotional tool. The magic eight ball makes predictions after it is shook up by the consumer. Each time the eight ball is shook a new message is revealed answering a question of the consumer. The business can put answers in the magic eight ball that would lead to the consumer being dawn to their product or service. Desk clock radios are an amazing promotional product given out to consumers or for employees for a job well done. This is an unusual promotional product will provide many benefits to the consumer and the business. The desk clock radio provides the consumer with the time, a radio, or allows them to set an alarm. Every time the consumer looks or uses the clock radio they are reminded of the company that gave out the product. This is an excellent tool for attracting new customers and retaining the loyalty of current customers. Everyone has dishes that need to be cleaned or at least scrubbed before being placed in the dishwasher. This handy little scrub brush is useful but also reminds the consumer of a product or service when it is used. While a useful promotional product the dish scrub brush is also a unique approach to advertising a product. There are many great unique eco promotional products and other unique promotional gifts available at Far from Boring including the solar flashlight which is one of the companies amazing eco promotional products. The solar flashlight uses the power of the sun instead of expensive batteries or electricity saving energy and ensuring the consumer has an available light source if the power goes out. The Author knows the value of unique promotional ideas, and having the right gift for a giveaway can make or break a marketing campaign!